Kentucky has a rigid rule on foreclosures: no out-of-court foreclosures are valid other than voluntary sales by the borrower. A deed of trust sale, a power of sale clause in a mortgage or sale by a trustee will not work in Kentucky. The only forced foreclosure sale that is permitted is one pursuant to a court order. Also, common law or strict foreclosure is forbidden in Kentucky. The lender must be prepared to engage in litigation to foreclose in the state of Kentucky. Often the lender can win by default or summary judgment but, if not, the case is tried to a jury. On the other hand, if the borrower abandons the home, the lender may obtain possession of the property once the borrower goes into default. 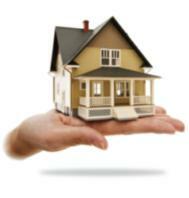 The lender may operate the property for the benefit of the borrower. Any income produced goes to the lender, not the borrower, but will be credited toward paying off what the borrower owes. If the borrower does not abandon the home, the lender may not take possession until the court confirms the foreclosure sale. Prior to a foreclosure sale, the property must be appraised. If the actual foreclosure sale price is less than two-thirds of the appraised value, then for one year after the sale the borrower has the right to redeem the property from the buyer for the buyer's purchase price plus ten percent interest. Interestingly, the borrower's right to redeem may also be sold. In Kentucky, it is possible to obtain a deficiency judgment against the borrower for the difference between the amount the borrower owed on the old loan and the foreclosure sale price, but only if the borrower was personally served with the lawsuit, or failed to answer.